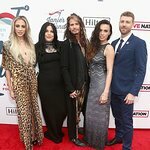 SanDisk Corporation, the global leader in flash memory cards, has announced that its new philanthropic effort is getting a little musical help from Aerosmith's Joe Perry. For every SanDisk slotRadio card purchased now through January 31, 2010, SanDisk will donate $1 to the GRAMMY Foundation to help support their GRAMMY in the Schools music education programs for high school students. Perry is working with SanDisk to help raise money for the GRAMMY Foundation and build awareness of the programs it offers to expose young people to careers in music and to recognize excellence in music education. Perry is the co-founding member, principal co-songwriter, lead guitarist and co-producer of Aerosmith. He also just released his fifth solo CD “Have Guitar, Will Travel,” to critical acclaim on October 6. 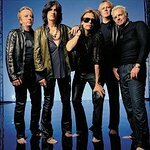 The Joe Perry Project is currently touring the nation in support of his new album.